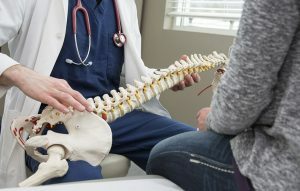 These are specifically coordinated and gentle procedures to help realign the spine and associated structures to their proper positions — which allows the bones, spine, joints, muscles, nerves, and soft tissue to heal properly and retrain these structures. 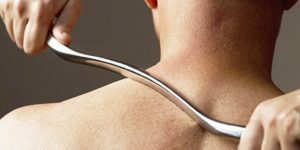 This procedure has been done for thousands of years, but for more than 120 years we have called it chiropractic manipulation, and have had over 85 percent success rates reported by patients with a variety of conditions. This specific procedure is used to help mobilize joints of the spine and surrounding areas to improve function, movement, and structure. This is a gentle procedure that produces tremendous results in the body of the patient and aids in the overall speed of recover and healing. These are specific techniques that help to breakdown adhesive changes that occur in soft tissue, joints, around bones, muscles, and nerves. This is a relaxing form of treatment that will allow the patient’s body to improve its overall function, aid in mobility, and improve vascular blood flow, relax muscle, stimulate nerve function, and so much more. If you are interested in learning more about our chiropractic care services or believe that you could benefit from chiropractic care, contact the Spine Pain Center today! With three locations in North Charleston, Columbia, and Mount Pleasant, you can find the chiropractic care you need close by. Be sure to also check out our advanced medical care and physical rehabilitation services. Call either of our Spine Pain Centers in North Charleston, SC at 843-606-2412 or the Mount Pleasant, SC at 843-884-8444 to make an appointment and start your healing journey.